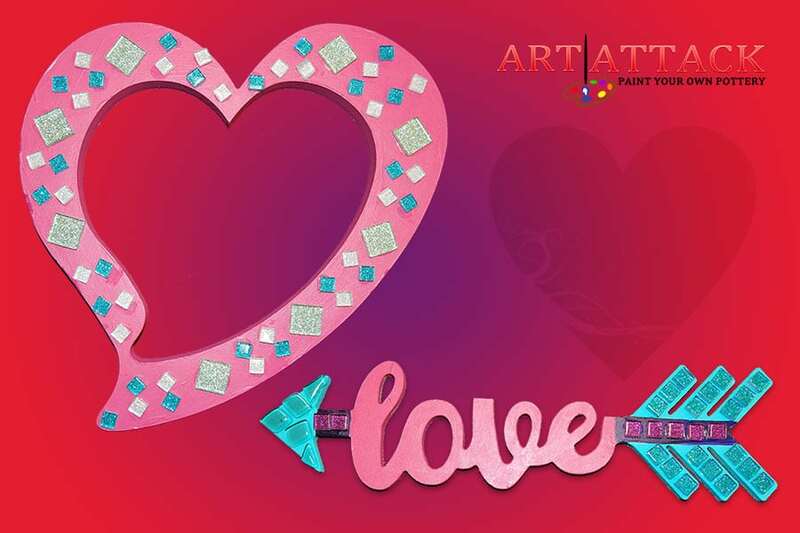 We have a fully stocked mosaic studio that includes Valentine’s Day themed mosaics. With over 40 bases to choose from in fun sizes and shapes for all ages and abilities! 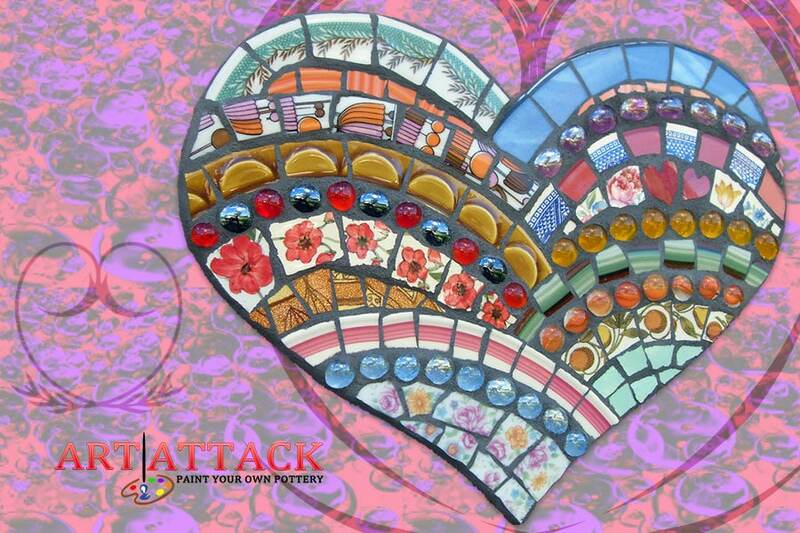 Creating a mosaic is fun! 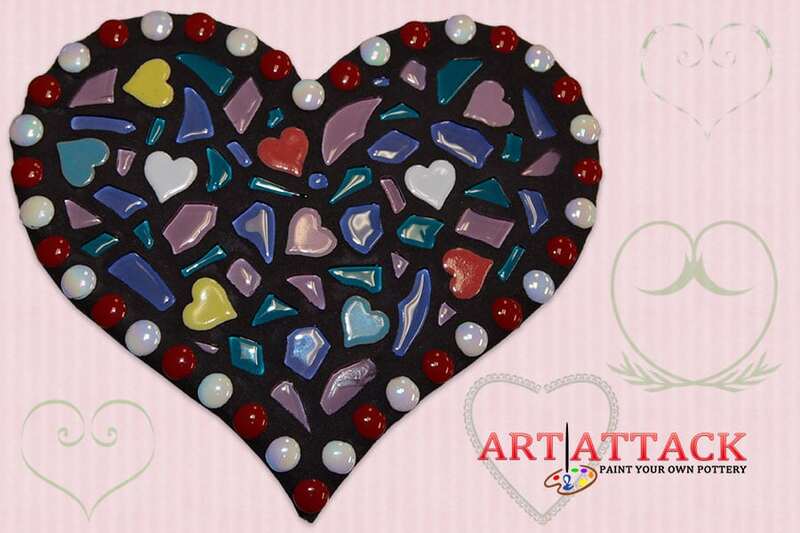 You start by painting your mosaic base & base edges with your favorite acrylic colors. This creates a background to place your tiles on. Next choose from a huge selection of tiles to decorate your piece! Draw your design with a pencil directly on the base, or start laying out your tiles however you’d like. We have tile cutters to help you fit everything together. Glue your tiles down with our super duty mosaic glue.